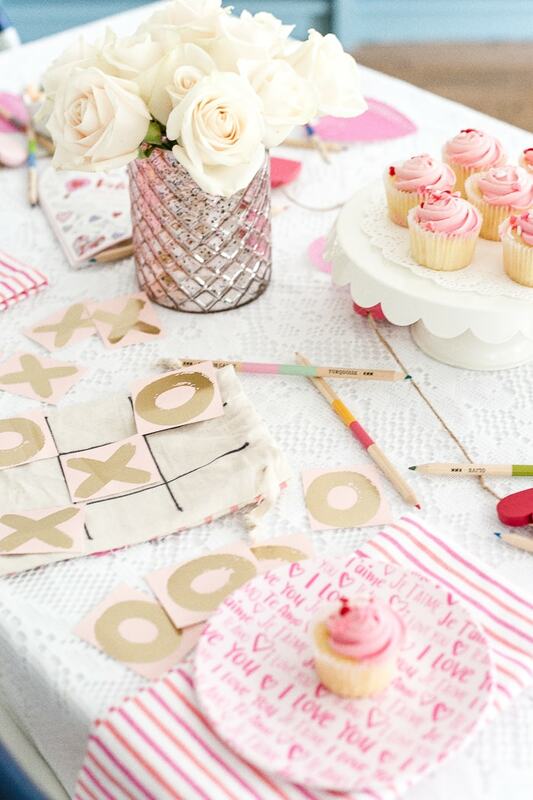 And that includes tables and entertaining ideas. 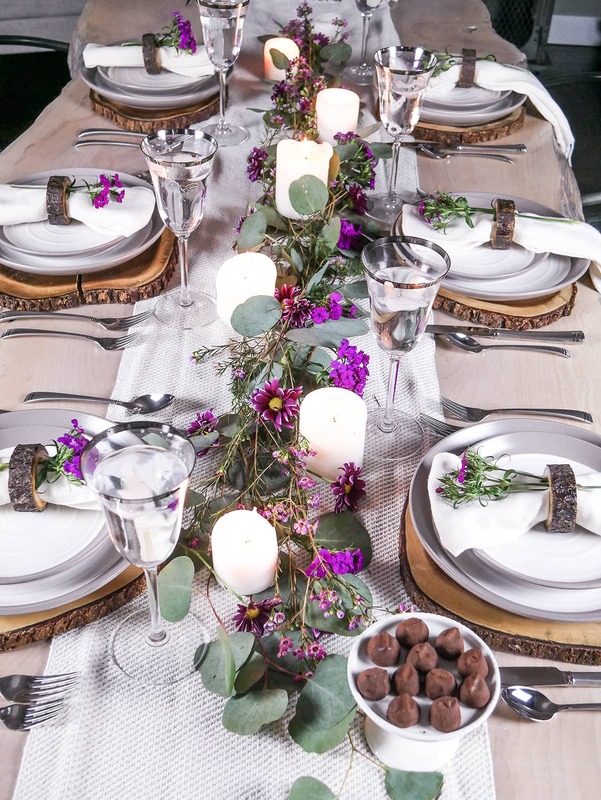 This share is a bit different than what I usually share when it comes to tables. 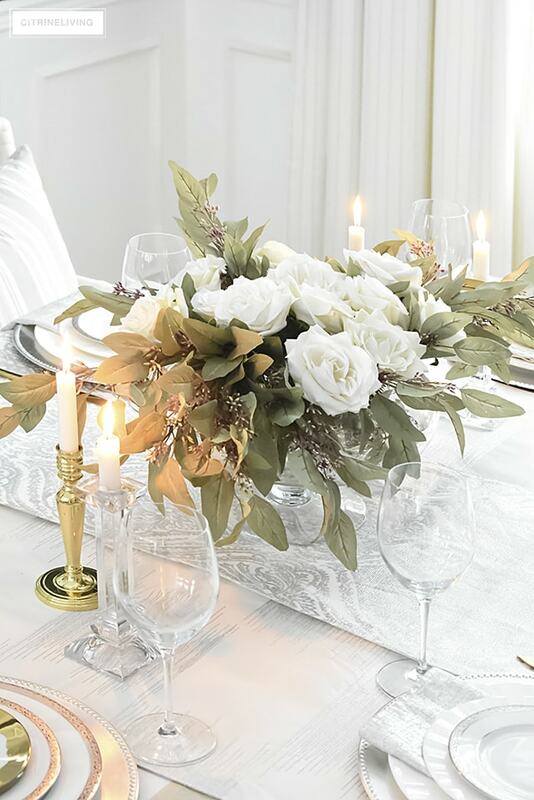 It is more about the place settings and just a peek at the centerpiece idea and about how to shop the on various budget. 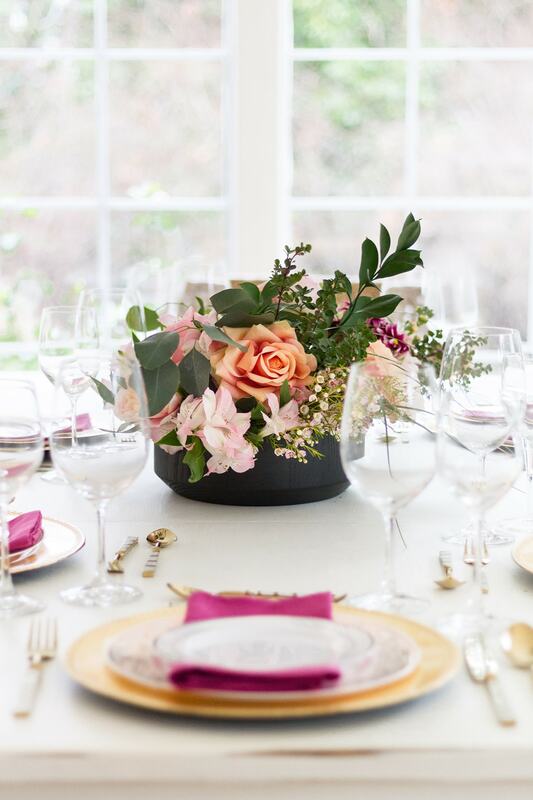 You can see that my flowers are in abundance- and that for the centerpiece and to frame the place settings- I used peonies and ranunculus with a couple of sprigs of eucalyptus. 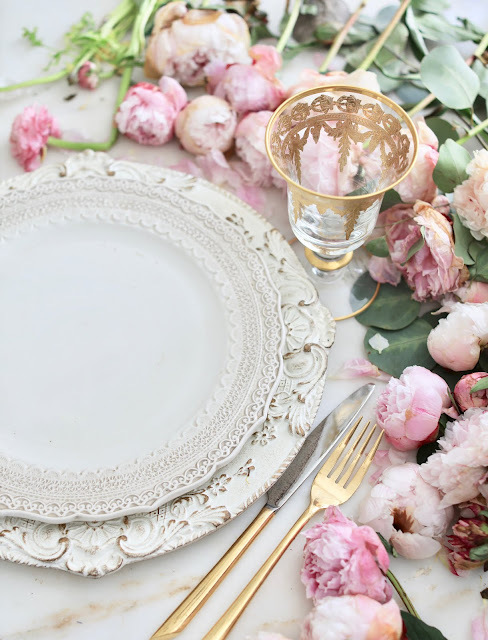 and clipping them and laying them in the center of the table and dipping down just a bit around the plates. 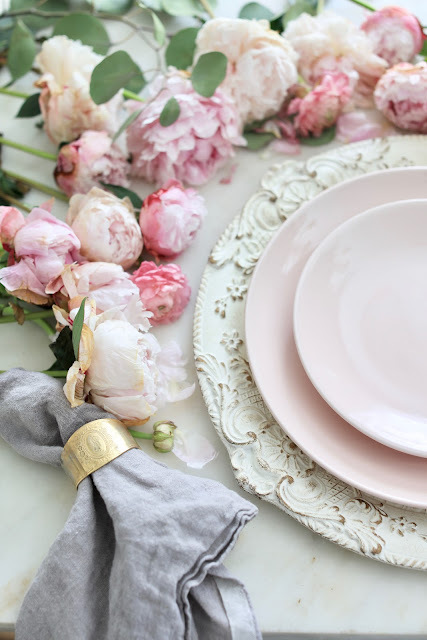 It creates a bit of a frame for your place setting and adds a ton of charm. to show that you can create a designer setting by mixing and matching. I am a huge fan of setting the stage for the stacks of plates with a charger. And some of my favorites are the gold gilded glass and the carved wood chargers. This charger is a favorite of mine. And it sets a pretty stage for detailed dishes along with simple ones. 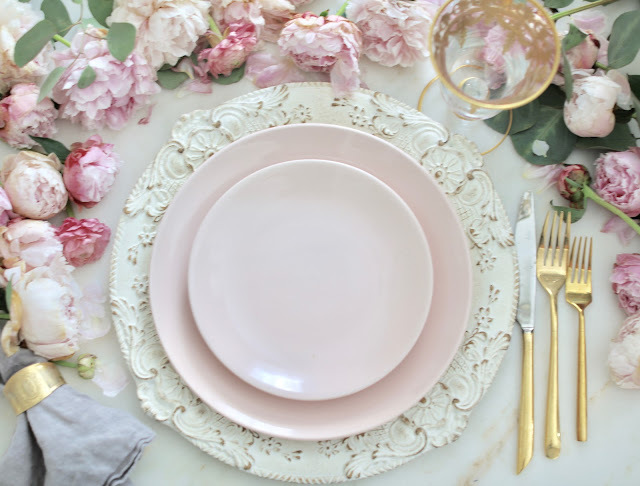 I love the rustic luxe base it creates for these simple smooth pretty blush plates. 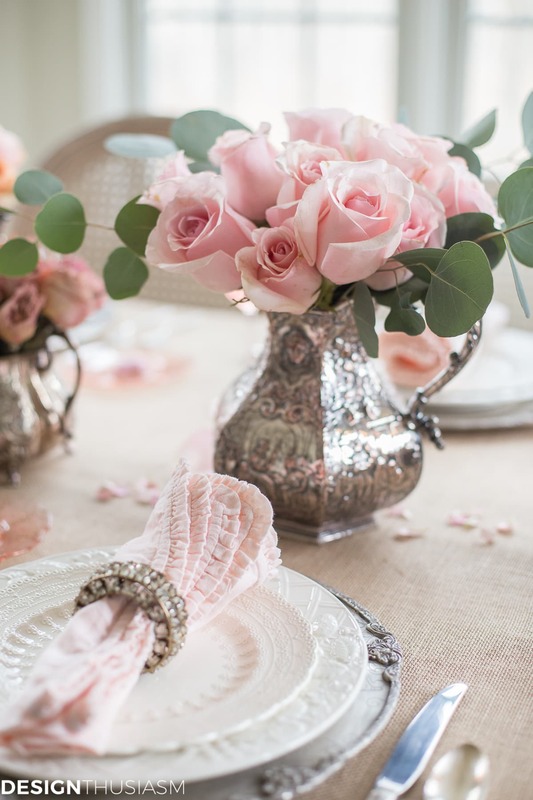 So soft and romantic chic- oh and those blush plates? Finezza from Arte Italica is the perfect one. 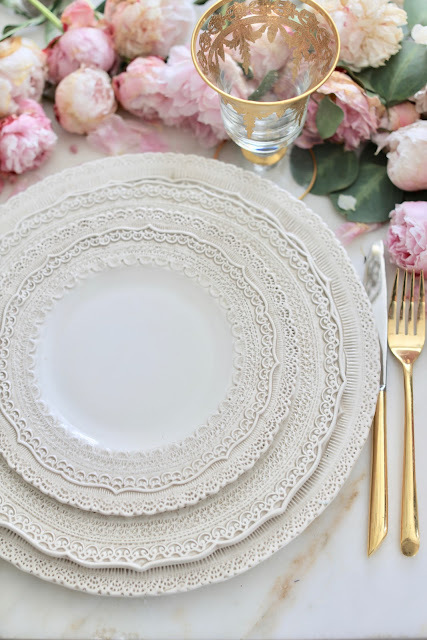 My absolute favorite dishes- these gorgeous lace dishes grab my heart and run away with it every.single.time. I use them- I could literally stack them all day long and play. I have linked something that might give you that detail you would like. 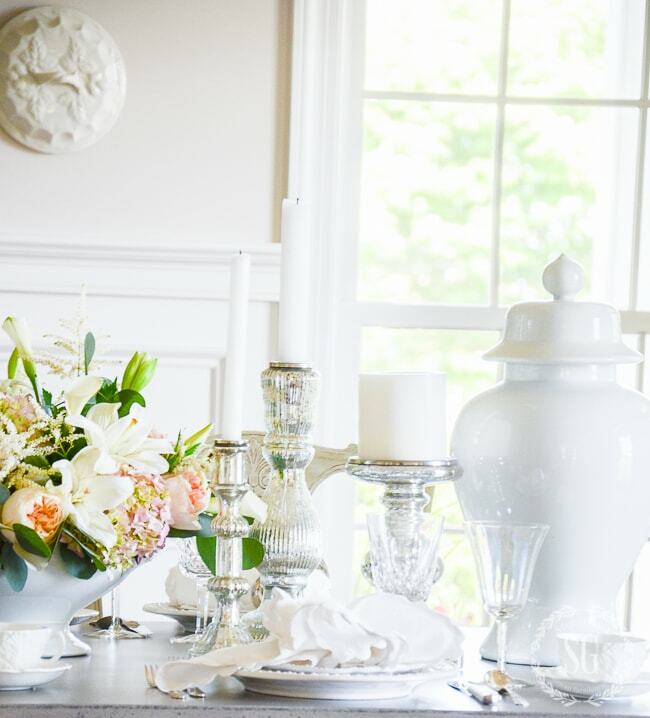 This gilded glass set is one of my most about elegant elements. Also from Arte Italica-it is no secret that I have a huge crush on their dishes. Their quality is superb and their attention to detail- incredible. and as you can see- you can also mix and match price ranges. See you Friday for something fun! Thank you! We sure appreciate you giving us thrifty options too! Courtney, I’m crazy in love with Arte Italica’s tableware, as well!! 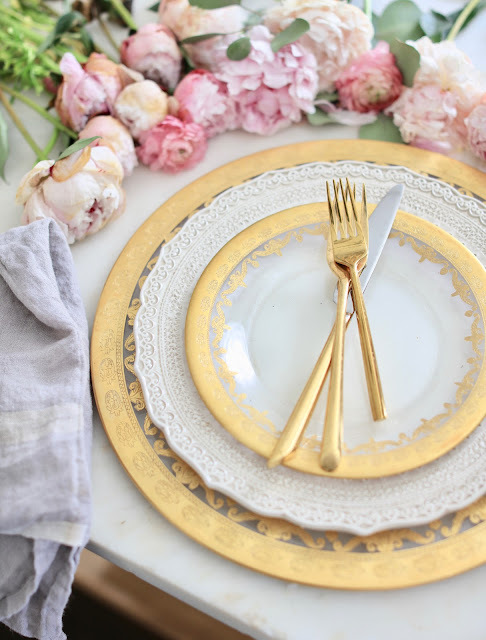 Both sets of plates are stunning and I have some of their gilded goblets, too. 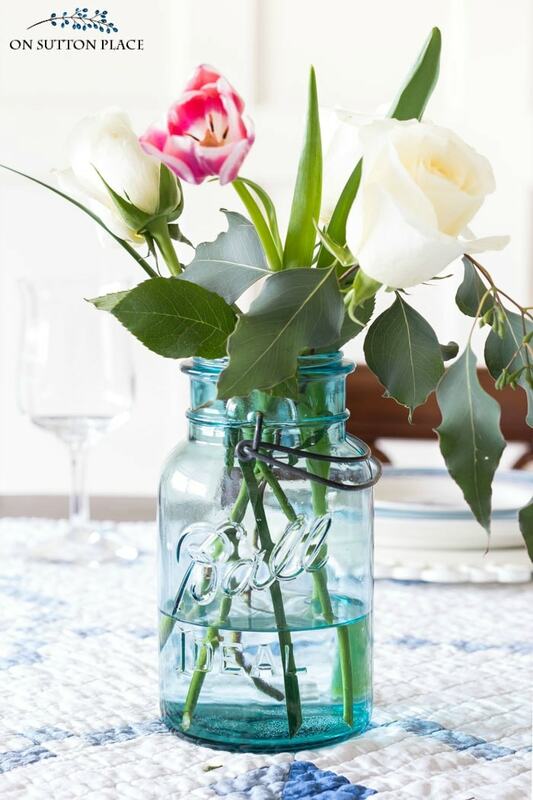 How lovely they look framed with your stunning florals! I love your style. Beautiful dishes and flowers. 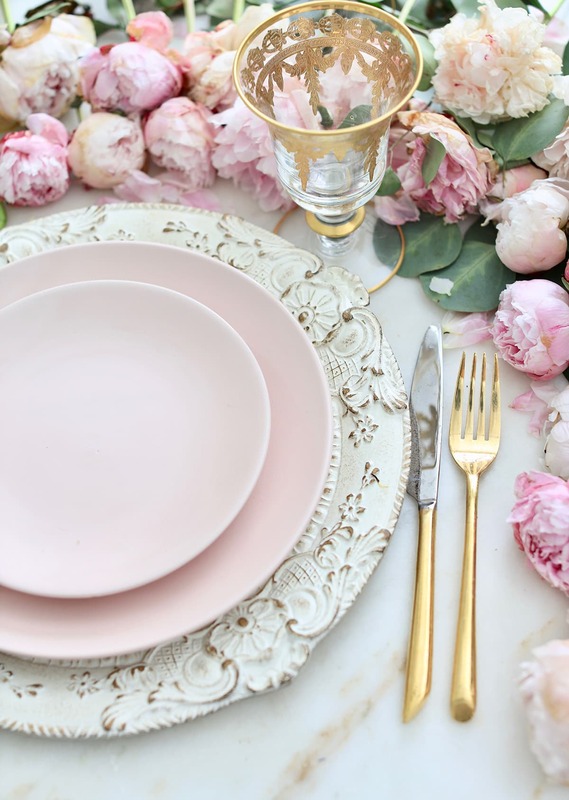 Beautiful dishes but the flowers arranged around makes the setting more beautiful! Sigh...thanks for creating beauty. You always make my day. It's so gorgeous, Courtney. 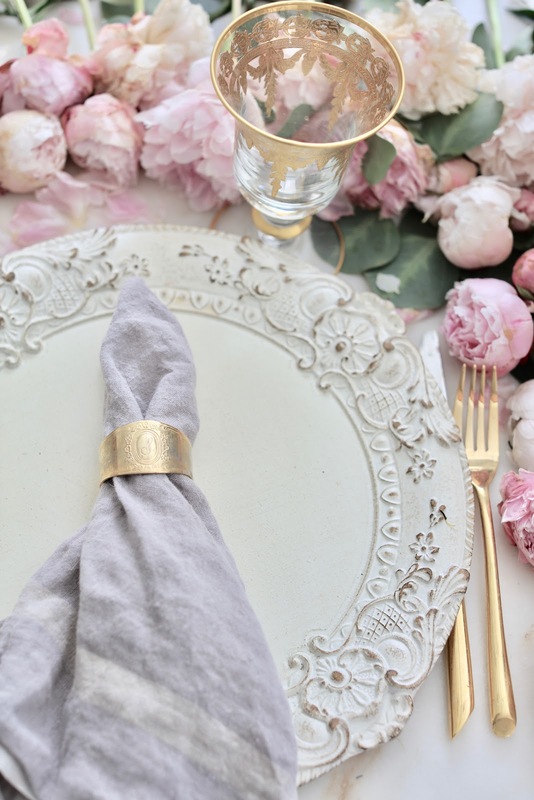 I love your dreamy tablescapes. I always look forward to your beautiful posts/photos! Thank you for sharing your gift. Could you please do more whole/partial room photos as well as your close ups? Thank you for considering.